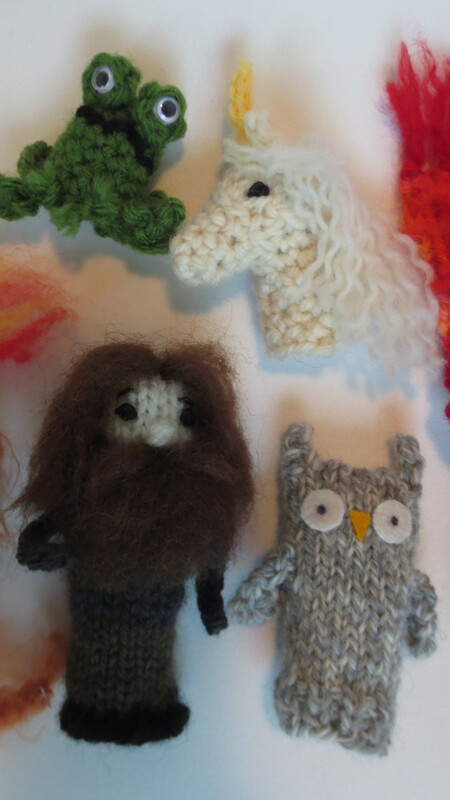 Who doesn't love Hagrid and the magical creatures of Harry Potter? Well, I don't know but when my partner in the Back to Hogwarts swap listed the Magical Menagerie shop as a favourite I knew I had to make these little guys. The shop is sewn with a brick printed fabric and a drawstring was added to the top for a peaked roof. The puppets were knitted or crocheted from various patterns or made up, like the toad, owl, and kneazle. And you have to have Hagrid! These are great! You have a lucky swap partner. They're all adorable, but I especially like the dragon one. 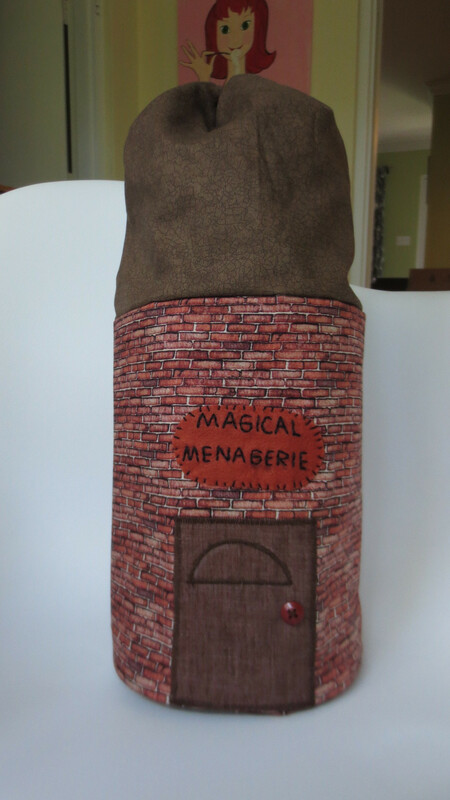 And what a great idea to have the storage bag be the Menagerie! I LOVE, LOVE, LOVE these finger puppets!!! And the Magical Menagerie shop bag...bloody brilliant! I am so in love with this project. I love that you designed the bag to be the actual shop. You always blow me away pottermouth! Those are so cute! And I love that brick fabric. I have some in my sewing stash. I wish now that I would have bought more. I have used it for several different projects! Great job on your finger puppets.